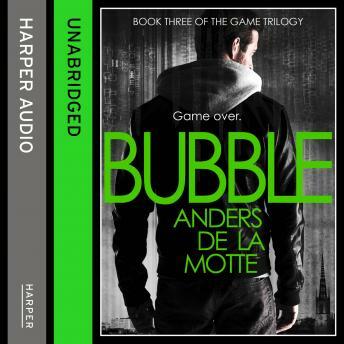 Game Over: Will the conspiracy collapse or conclude with a deadly end-game in the concluding part of the Game Trilogy. HP is now living off the grid, convinced he is being hunted by both the police and the masterminds behind the Game, with no one to trust and the boundaries between reality and the virtual worlds dangerously blurred. He resolves to complete one final mission in order to expose the Game and uncover the truth behind it. Ousted from the police force, Rebecca is in crisis, self-medicating to cope with stress. When she finds a safety deposit box that belonged to her father, she is shocked to find that it contains a gun and several passports. She starts her own search for the truth: what is the connection between her father's past, the Game and what is happening to HP?